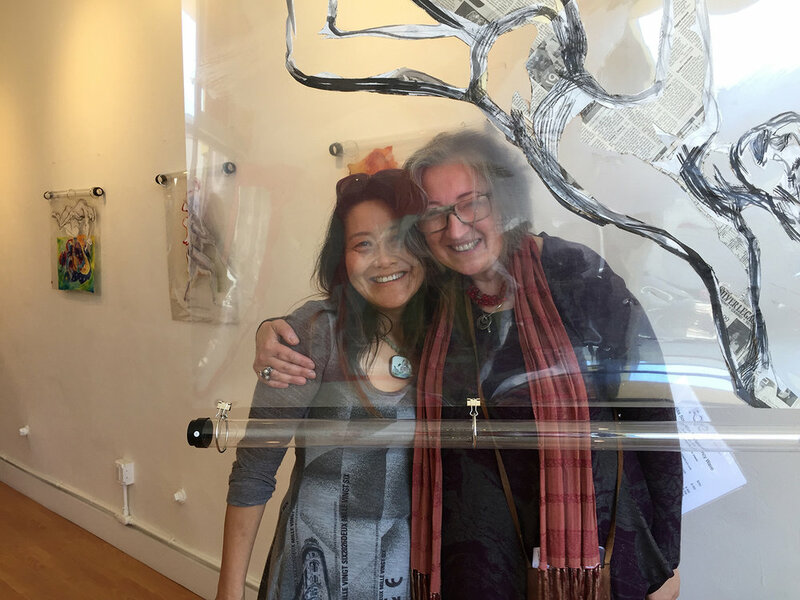 A viewer, along with Rita (right) become part of a piece of art. An astonishing exhibition! Rita's mixed media images on transparent surfaces hang so visitors can become part of the floating experience. Rita demonstrates how a piece of art changes if you view it from the opposite side.